Career solutions for Deaf, DeafBlind and Hard of Hearing communities. The MEC team collaborates and works with Deaf, DeafBlind and Hard-of-Hearing people of all work backgrounds to discover new skills, explore career opportunities and find meaningful employment. Our Communities We’re proud to find customized career solutions for Minnesotans across the state. Success Stories Meet some of the people we serve, who have found rewarding careers with support from MEC. Our Services From developing resumes to interview coaching to job placement & customization, MEC can help you find the job you want. MEC is here to unlock your potential, from your first job search to ongoing job coaching and support when you need it. Assess the work environment for appropriate accommodations. Provide training to staff about working with a Deaf, Deaf-Blind, or Hard of Hearing person. Offer resources for interpreters and other communication devices that can be utilized on the job. Follow-up with both the employer and employee on a regular basis to create a productive and happy work environment for all. We take pride in finding a unique solution for everyone who comes to us, no matter your background, specific disability or work history. 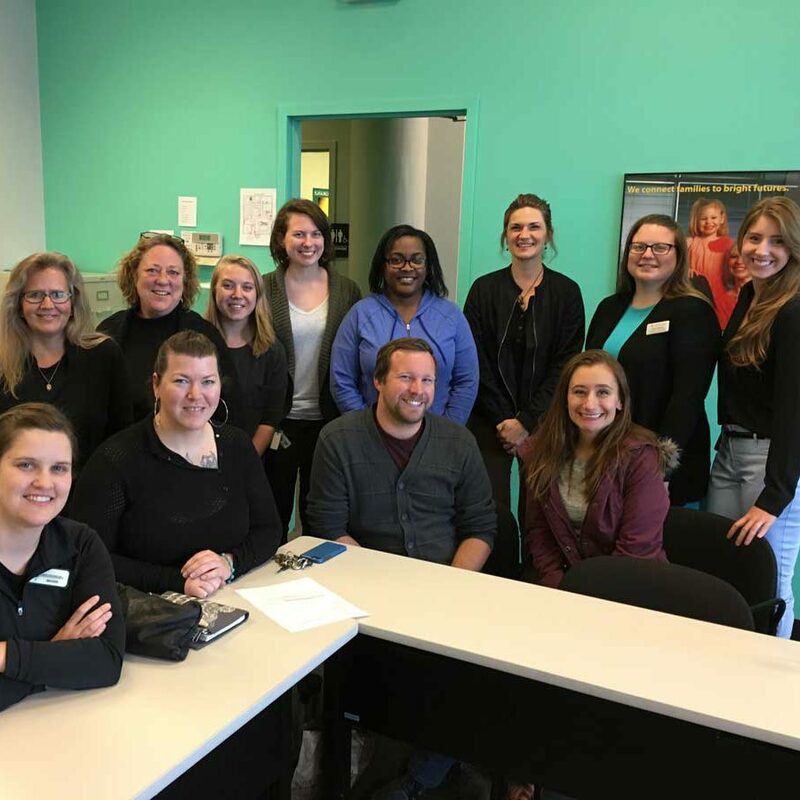 Our communications expertise and close relationships with the Deaf, DeafBlind and Hard-of-Hearing communities have given us the chance to work with hundreds of Minnesotans — and to connect them with employers who see the value in working with a diverse, vibrant group of people. With offices in the Twin Cities, Rochester, Duluth, Mankato, Moorhead and Faribault, we’re able to provide services to all Minnesotans. Minnesota Employment Center (MEC) is a program that provides career solutions and customized support for the Deaf, DeafBlind and Hard-of-Hearing communities in MN. MEC is a collaboration between Rise Incorporated and Lifetrack, with support from the State of Minnesota. Ade, a native of Nigeria, loves his chef job at Hilton Garden Inn, where the menu features a pasta dish named after him. Despite the language and communication challenges, he is an award-winning member of the Hilton staff. Ade was even featured in an article in the Minneapolis Star Tribune, which highlighted his great work and the support he receives from MEC. He uses a system of notes, gestures, and lip-reading to communicate with his coworkers. Guests especially enjoy his made-to-order omelets, which Ade likes to deliver to the table in person. Looking for a career change, Ellen sought out MEC career guidance and job placement services. Her MEC Occupational Communication Specialist (OCS) coordinated a job try-out at Home Goods and they were very impressed with her job performance, which led to her hire. MEC helped the Home Goods’ managers with Ellen’s on-the-job training and continued to follow-up once a week to make sure that things were going well. Given her success on the job, MEC now only visits twice a month. 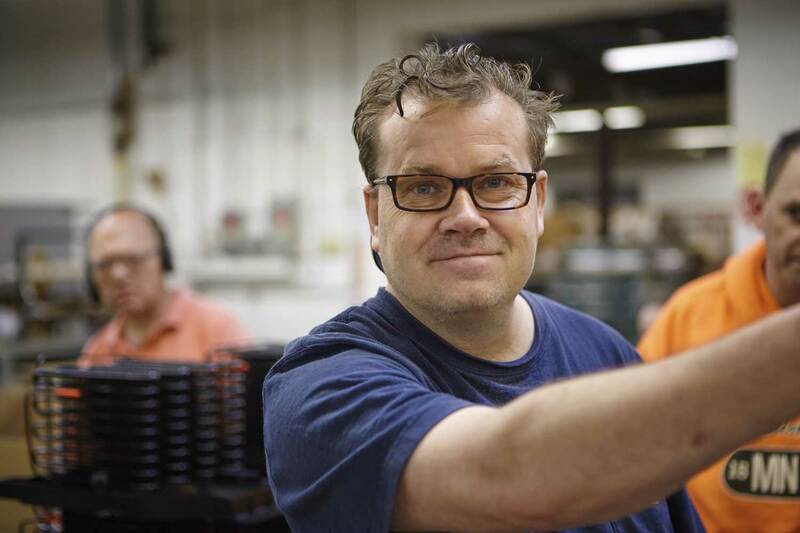 We work with businesses across Minnesota, from offices to manufacturers to retailers, to find career solutions for Deaf, DeafBlind and Hard-of-Hearing people. Our team members work to find opportunities for the people we serve to find a good job, grow as a professional and flourish in their communities. The purpose of this new group was to network with other professionals, promote best practices, collaborate on case consultation and participate in training. The VECTOR program asked MEC to house an OCS team member within their program. 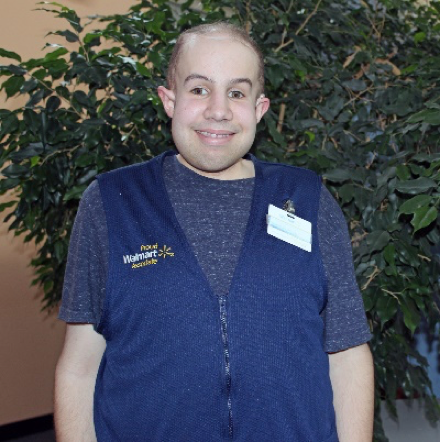 Blue Cross Blue Shield of Minnesota knows that Deaf, DeafBlind and Hard-of-Hearing employees can deliver strong results every day. Senior data operator Sue regularly outperforms her work goals and is a key member of Blue Cross’s team. MEC helped with her new job training and with establishing communication systems with coworkers, along with consistent follow-up to ensure success in her job. We take pride in working with employers to find solutions for every employee. Yoonis, who is still learning ASL, immigrated from Somalia in 2000 and is now working as a cashier at Home Depot. His MEC Occupational Communication Specialist (OCS) developed a detailed cashier training book for Yoonis, complete with step-by-step instructions and illustrations. With Yoonis’s success, MEC and Home Depot can re-use the customized training book with others hired as cashiers. A store can’t run without a well-organized inventory, and Trang, Bao and Asho are invaluable for store operations at T.J. Maxx. They worked with MEC to find positions at the store and develop a communications system with staff. Now they process, tag, hang, and prepare clothing for the store floor from their individual work stations in the backroom. MEC also proudly helped Asho obtain American citizenship and we continue to follow up on their progress. No matter what your work history, areas of expertise or job interests are, MEC will work with you to grow and develop a career that works for you. Contact us to learn more and get started.